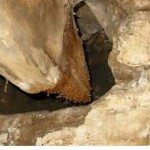 This case study gives a great example of how low disturbance methods can save you time and money. 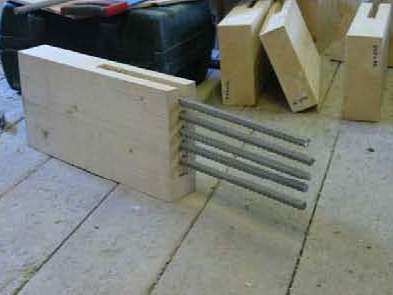 Using TG6 Timber Grout and offsite prepared timber resin splice kits, repairs are completed with minimal disruption to the fabric of the building. 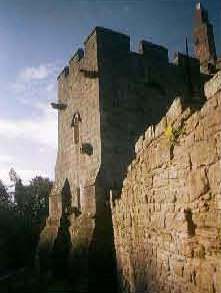 According to English Heritage, Aydon Castle was originally a wooden baronial hall built by Hugh de Reymes in the13th century. It overlooks the valley of the Cor Burn in Aydon, near Corbridge, Northumberland, North England. 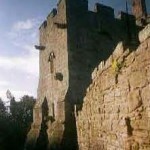 Robert de Reymes, his son, rebuilt Aydon Castle in stone. One of the finest examples of an English manor house of its time, Aydon Castle was originally built as an undefended house during a time of unusual peace in the Borders. It was fortified, but pillaged and burnt by the Scots in 1315, seized by the English rebels two years later, and was then the subject of frequent repairs and modifications. 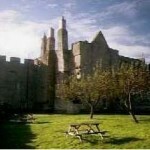 Its conversion into a farmhouse in the 17th century ensured that Aydon Castle has remained more or less unaltered since the Middle Ages. 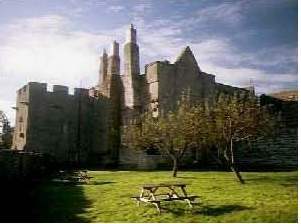 In 1996 Aydon Castle was acquired by English Heritage and has undergone extensive renovation and refurbishment to restore it to its former glory. 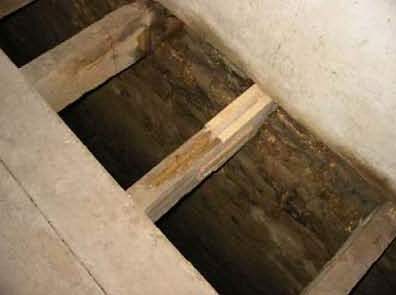 This case study focuses on the floor joists that had been ravaged by wet rot as a result of moisture from the walls being in contact with the end grain of the timber over a protracted period. 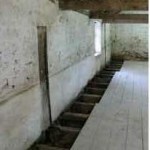 One of the requirements of English Heritage was to retain the period features of the building with minimal disruption. 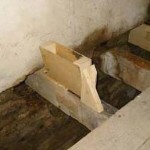 The Rotafix Resiwood methodology was an ideal solution as in situ repairs would be made to the floor joists without removing the entire floor or replacing the existing timbers. 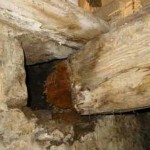 The approach developed required only local access to the damaged areas and replacing the damaged ends with species matched timber would ensure that the majority of the timbers would remain. 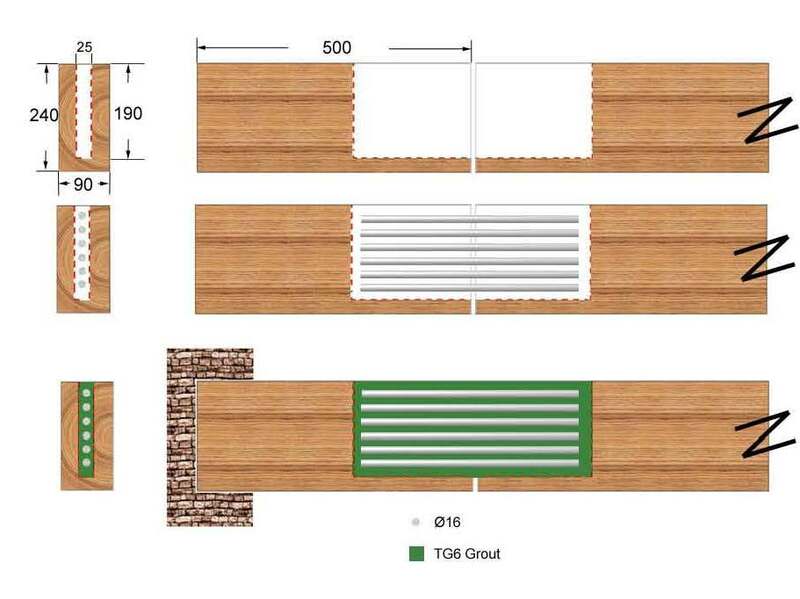 The diagram below shows the dimensions of the floor joists and the proposed repairs. 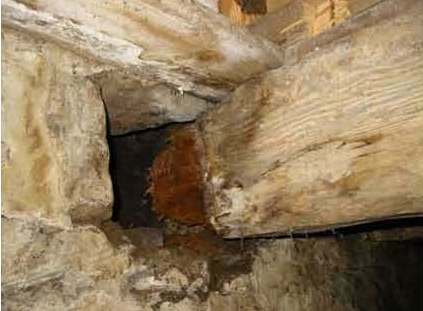 The damaged timber was removed from each floor joist, nominally 500mm. 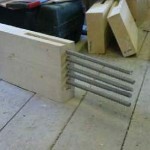 A new timber end was manufactured and cut to length to match a corresponding floor joist. 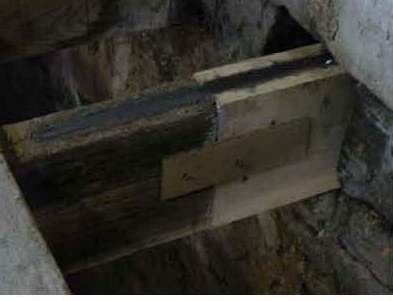 The two pieces of timber were connected using Rotafix TG6 Timber Grout (TG6) and strengthened with stainless steel rebar, i.e. a Rotafix patented Timber Resin Splice (TRS). 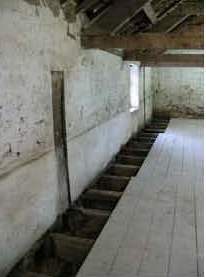 The picture below shows the floor boards that were removed to gain access to the repair area. 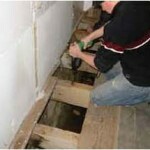 Removing the floor was unnecessary, thus reducing the disturbance, time and cost of the repair. 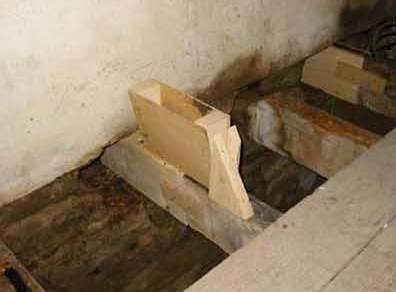 Once the joists were exposed slots were cut into the end of the existing joists to receive the Rotafix TRS units. The Rotafix TRS units were prepared off site in species matched timber with moisture content similar to the existing joists in Aydon Castle. It was essential to ensure that the TRS Units were species matched to the remaining timber and of a similar moisture content. 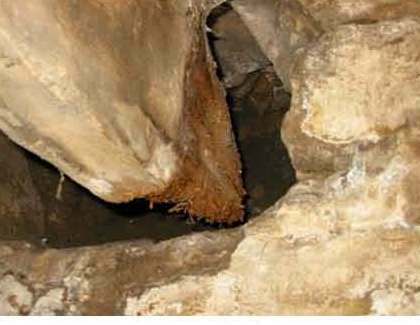 Failure to match the moisture content would have produced latent forces in the new and old components causing potential stress and damage to the new joint. 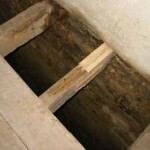 The TRS units were then attached to the existing joist as per the photograph and secured with a temporary timber slip. 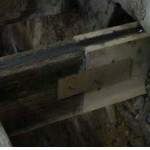 The face of the joint had been secured with a temporary sealant to prevent the TG6 Timber Grout from seeping through the joint. 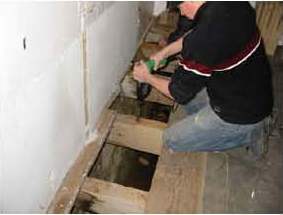 Alternate beams were repaired sequentially to maintain the support of the floor. A header box was used to make it easier to pour the TG6 into the connection. Using a header box ensured a rapid installation of the fluid TG6. The header box assisted the flow of the TG6 ensuring that it completely filled the voids. The TG6 cured in 2-3 hours and the connection achieved its full strength in 5-6 days. Rotafix provide comprehensive training and support for contractors carrying out these types of repair. For further information about the Resiwood system of repair, using TG6 Timber Grout or obtaining species matched replacement timber ends manufactured to meet your requirements please contact us on +44 (0)1639 730481 where one of our technical team will be happy to assist.